Sweet potato is more nutritious than normal potato but I never knew that we can make poriyal out of it till I tasted this poriyal in a function. I wanted to try myself and got this recipe from my grandma. It had mixed taste of sweet and spicy. 1) Wash and clean the sweet potatoes. 2) Do not peel off the skin completely, instead scrap the skin and remove the dirt. 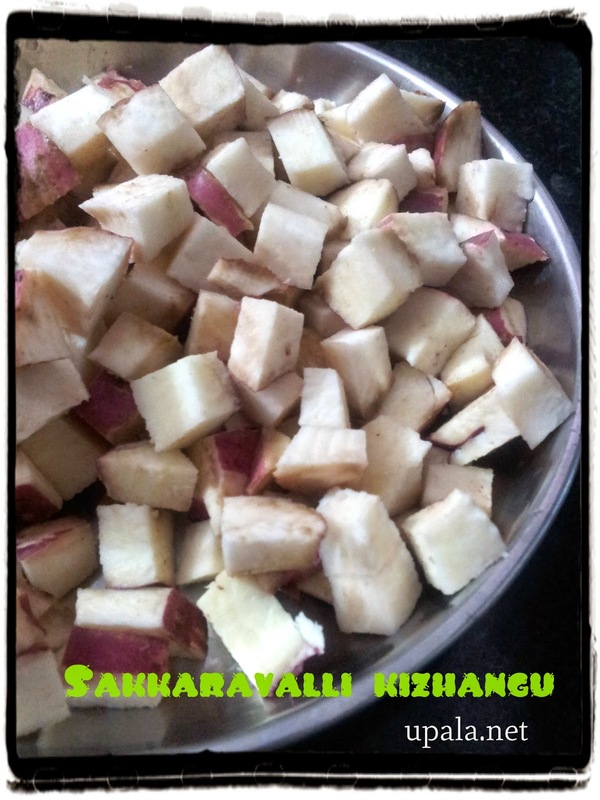 3) Cut the sweet potatoes into small pieces and keep it. 4) Heat the kadai and add 2 tsps of oil and add mustard to splutter. 5) Add urad dal and sauté it till it becomes light brown in colour. 6) Add turmeric powder and sweet potato, mix them and sauté for few seconds. 7) Now sprinkle few drops of water (sweet potato takes less water to get cooked). 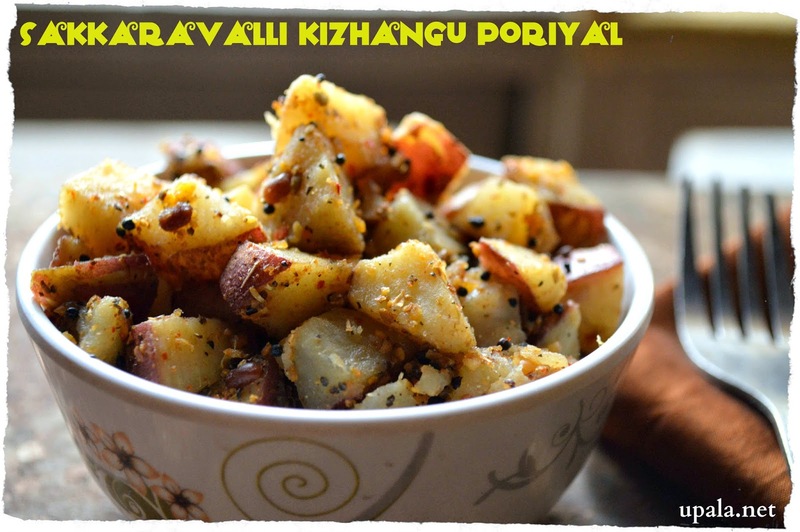 8) Close the kadai with a lid and let the sweet potato get cooked for few mins. 9) Open the lid and check whether it is soft. If not sprinkle few more water and repeate the process. 10) Once it is cooked, add veggie powder and salt and mix them. This poriyal will have mild sweet taste. 1) You can add 2 tbsp of grated coconut finally, I have skipped it.